I mentioned in my last post that right after breakfast, we drove one block to pick up food for lunch. 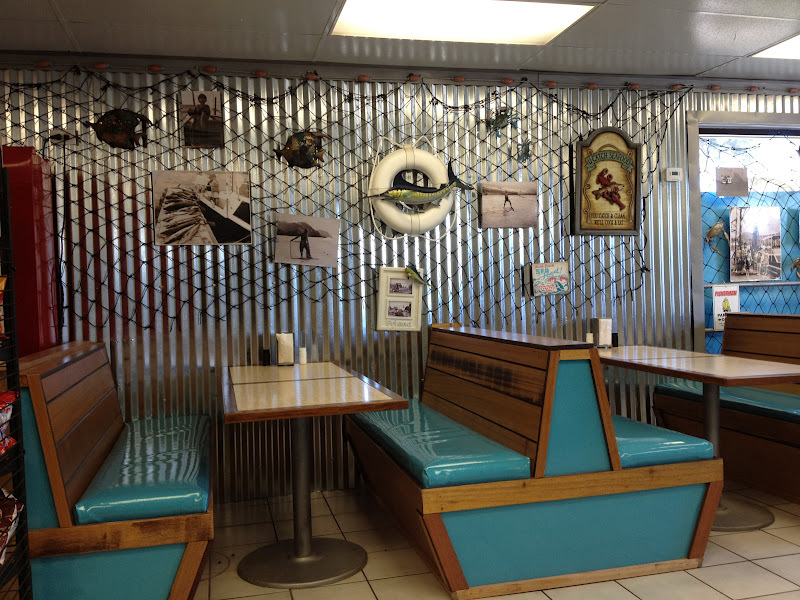 My friend Jeff had told me Helena’s Hawaiian Food (This James Bears Award winning restaurant opened in 1946!) 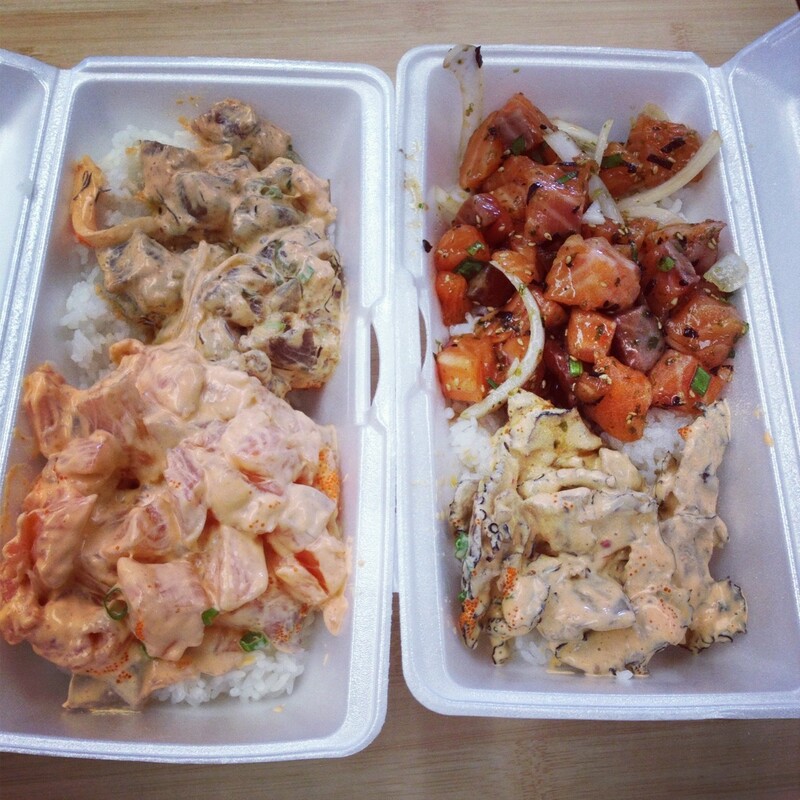 is the place to go for Hawaiian food. He said one thing we needed to get was the pipikaula short ribs. 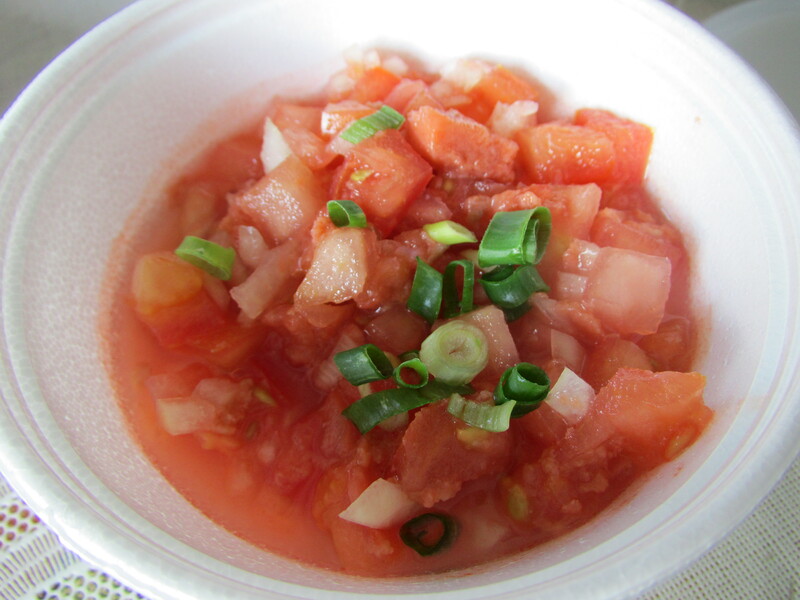 We started out with a side of lomi salmon. It left much to be desired as there actually wasn’t much salmon in it. Many places these days end up being mostly tomatoes and little salmon. 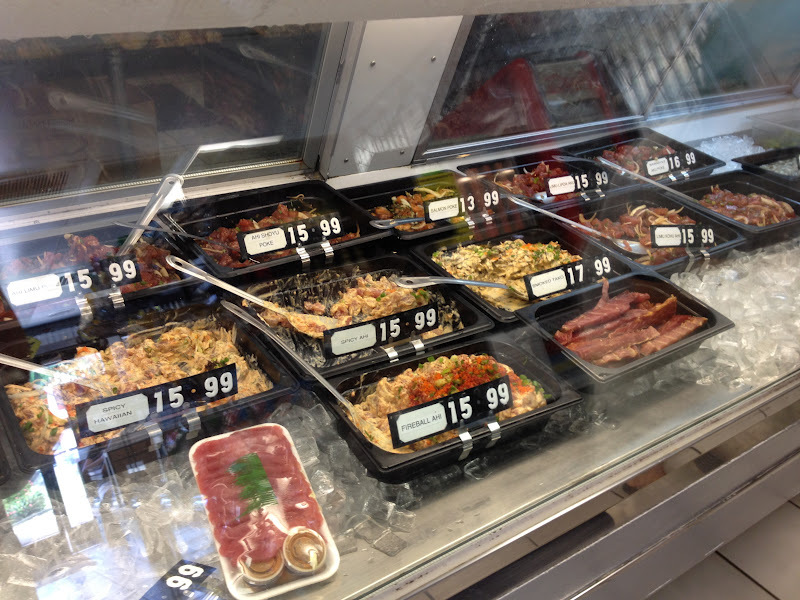 Helena’s serves up to 150 pounds of kalua pork every week and it’s all cooked in an off-site imu. 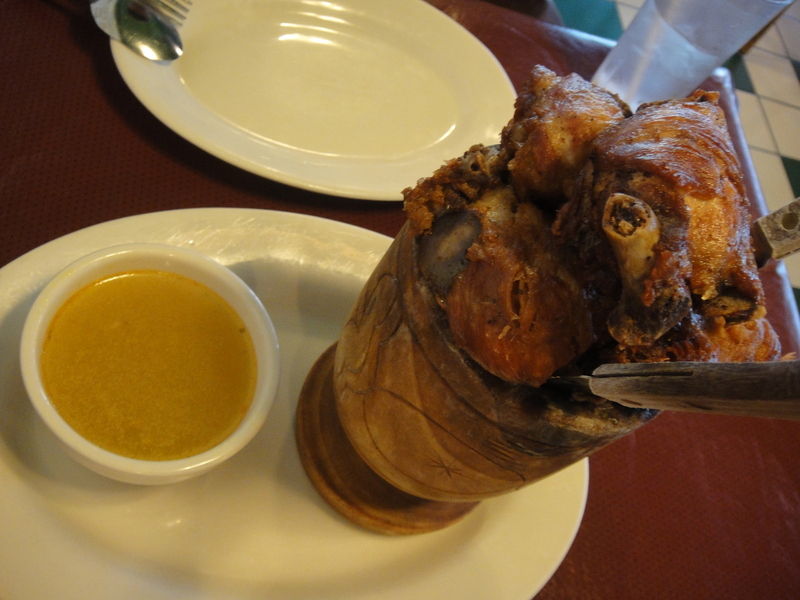 It has the perfect combination of smokiness and saltiness to it. 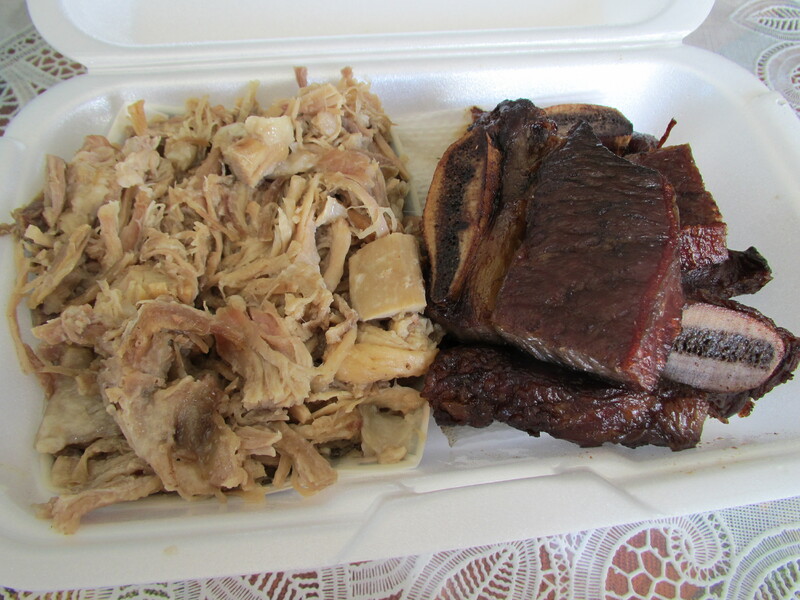 The kalua pork is on the left of this combo plate. 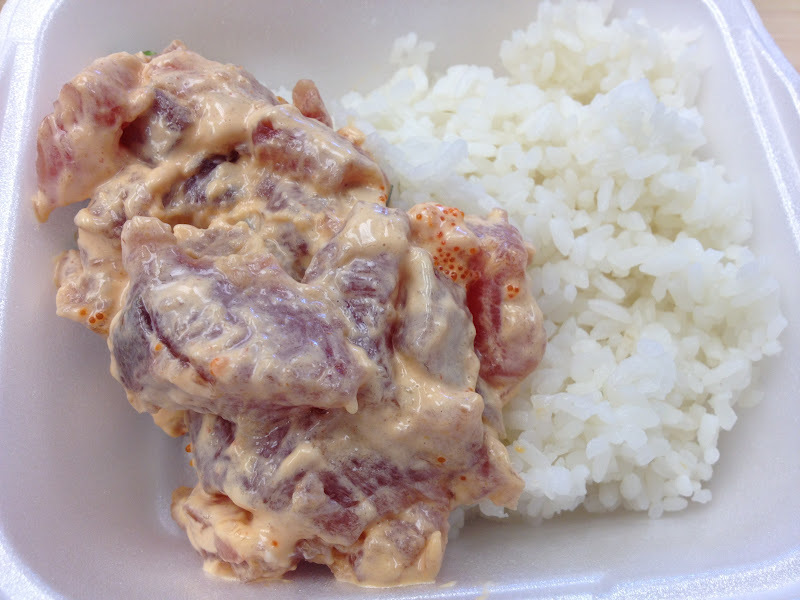 Pipikaula is like a Hawaiian beef jerky. Pipi means beef / cow and it is traditionally dried in the sun and wind so the texture is chewy and softer than traditional jerky. At Helena’s, they hang their beef from stainless steel hooks high over a stove to dry. It has a shoyu (soy sauce) flavor and has the perfect amount of crunch and chewiness in every bite. TM ordered poi with our meal and I must admit, I didn’t eat a single bite of it. 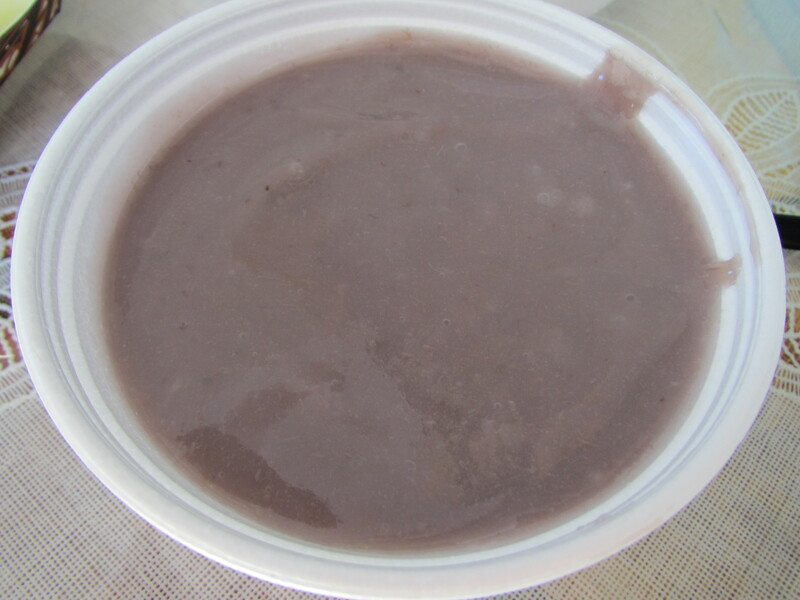 Poi is made from the corm of the taro plant and it is mashed until it gets to this desired consistency. I once heard someone describe it as tasting like wallpaper paste and I always think of that whenever I try it. It often has a sour flavor to it, the older it gets, and often replaces rice in a meal. As much as I like taro flavored things, I cannot appreciate poi. One of my favorite desserts besides ice cream is haupia. 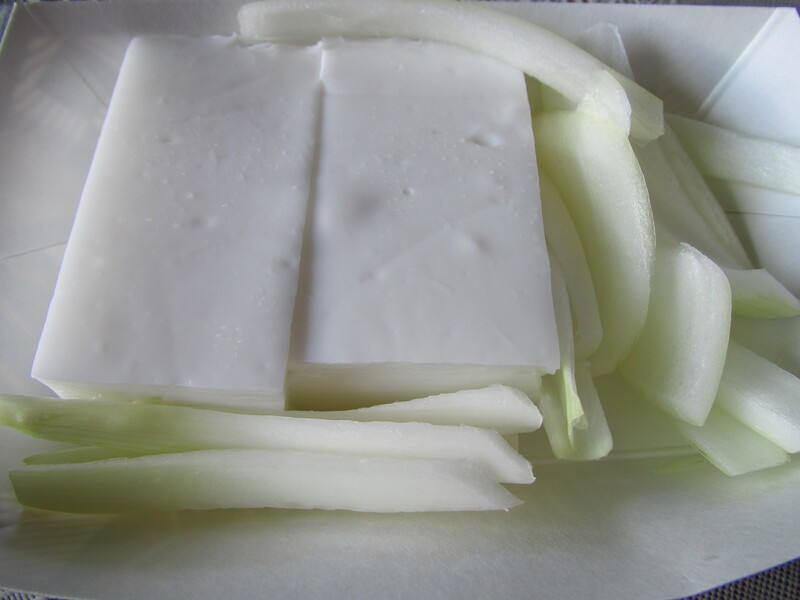 It is a Hawaiian coconut dessert that is served in blocks. It is smooth with no coconut shavings (this is key for me) and although it is considered a pudding-like dessert, it is almost gelatinous. We are going on quite the tour of “The Best Thing I Ever Ate” locations in the major US cities!! It just happens that we have plans to visit LA, NY, Miami, etc. and we go to the places that caught our attention on the show. 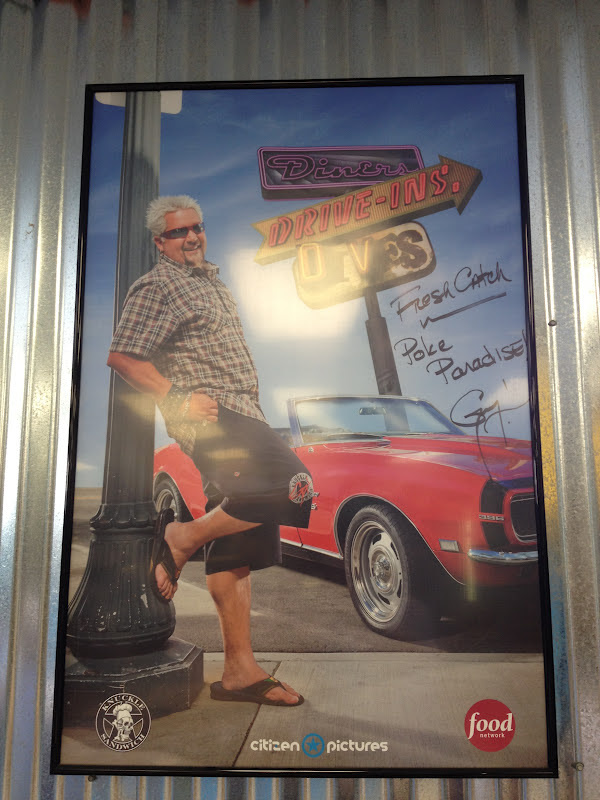 Guy Fieri visited Benny’s Seafood on his show “Diners, Drive-ins and Dives” and also mentioned the below dish on “The Best Thing I Ever Ate” as the best fried food. We went for lunch and grabbed a couple appetizers. 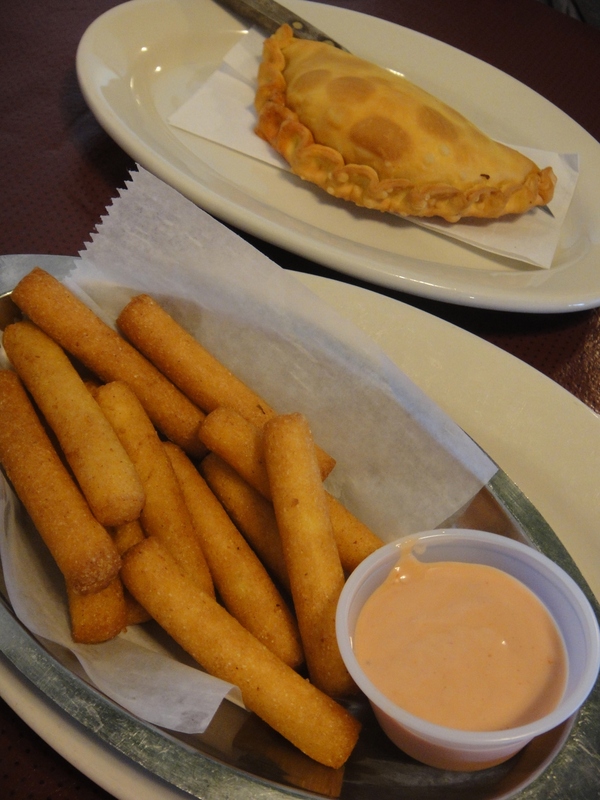 We went for a pizza empanadas and corn sticks. What are corn sticks, you ask? They tasted just like the “corn” in corn dog and had a ketchup-y, garlicky dipping sauce. It was pretty yum but probably no nutritional value whatsoever.